A weekly scrub to keep your skin in peak condition. A sharp and stimulating all round formulation designed to thoroughly cleanse, exfoliate and refresh your face and scalp. Active ingredients remove dead skin cells and improve the circulation of your face and scalp, ensuring healthy looking skin and hair. Our energising blend of ingredients ensures the mind and body are given a jump start whether used morning or night. How to use: Use weekly or twice weekly. In the shower, apply first to the hands and then scrub both face and scalp. Rinse off. How it works: Our Exfoliating Face and Scalp Scrub is formulated using ground sweet almond seeds. 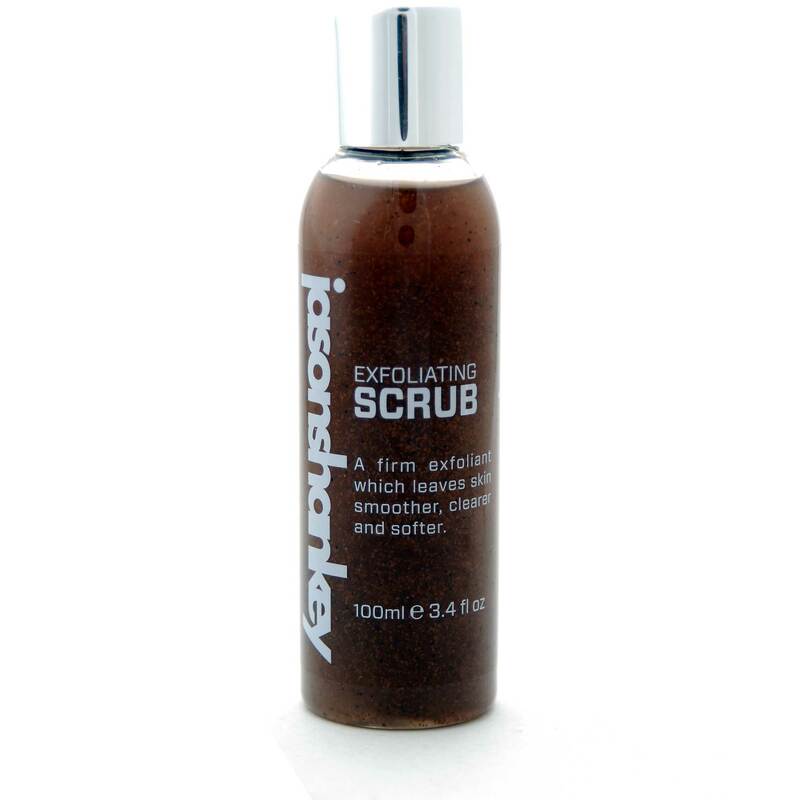 With a medium to firm abrasion, the scrub removes dead skin cells from your face and scalp, revealing the healthy younger looking skin which lies below. Circulation is boosted thanks to the movement of the ground almond seeds, helping to oxygenate your skin from within. Top tip: Using a scrub before shaving helps lift up the hairs and smooth your skin, resulting in a closer shave with less chance of ingrown hairs or razor bumps.